It's now easier than ever to donate to your favorite causes. Millennials—that generation representing a growing portion of the purchasing power in the United States—have been lax when it comes to charity. 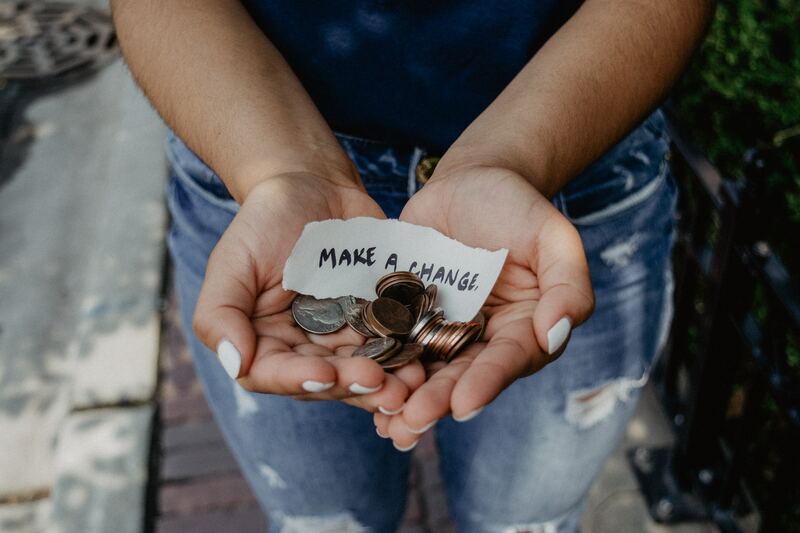 Although the generation makes up about a quarter of the population, millennials have generally fallen behind when it comes to giving, only accounting for 11% of charitable spend in the U.S. But there’s good news: Donating to charity has never been easier. And since millennials are happy to give when it comes to causes like hurricane relief, there’s still plenty of potential for millennials—and charitable givers of any generation—to increase their giving in a variety of ways. Here are some reasons it’s easier than ever to donate to charity. Amazon’s Smile “donates 0.5% of the price of your eligible AmazonSmile purchases to the charitable organization of your choice,” according to Amazon.com, making it a seamless way for people to put money toward charity in doing something they likely do every month: shop on Amazon.com. eBay for Charity offers a wide variety of digital options, including the ever-convenient automatic PayPal collection of charity funds. PayPal’s Giving Fund then takes a monthly donation from the verified account and sends 100% of said funds to that charity. Goodshop combines frugality—seeking online shopping deals and coupon codes—with charity. Simply by using the relevant codes and shopping with Goodshop makes it possible for customers to send money to a charity they select. According to the site, more than $11 million has already been raised by Goodshop members. Although millennials are struggling to keep up with older generations when it comes to charitable giving, there’s one area in which they excel—spending with credit cards. One study found that 40% or so of millennials would even spend money beyond their means to keep up with friends. But all is not lost; consumers can use the leverage of credit cards to make donations almost automatic. There are plenty of credit card charity rewards programs that make it possible to collect money for charity while shopping, which makes the entire process effortless and automatic. Most of the major credit card programs have some sort of charity offerings available, so be sure to contact your individual provider to find out what they might have in store for you. There are even credit cards designed for charitable giving, such as the Charity Charge World MasterCard Credit Card. This card offers 1% cash back on all purchases, which can then be sent to a nonprofit organization. Charity Miles Signing up with Charity Miles allows users to sign up, choose their charity, and then run, walk or bike their way to charitable donations. Charity Miles utilizes a “corporate sponsorship pool” to make these donations, requiring no investment on the part of the user. Walk for a Dog by WoofTrax works on a similar concept: By taking your dog out for a walk, you can raise money for an animal charity organization. The app currently lists 10 million walks already, in all 50 states. In this day and age, there’s no shortage of ways to make charitable payments online or electronically. Some church parishes allow their parishioners to tithe in automatic monthly payments by signing up for automatic withdrawal. In other cases, you can simply sign up to a charitable organization and put the charges on a card each month—you won’t have to raise a finger to continue making payments. The key: setup. Each of these solutions requires an initial setup, even those apps and additions that require no work thereafter. As millennials grow their disposable income and bring Internet savvy to the world of charity, there’s no limit to the good that can be done. Joe is an ex-Wall Street banker turned blogger at ValuePenguin.com, an NYC-based personal finance company. Joe is currently focused on the credit card industry and helping people make sound financial choices. Donation- An act of Volunteering for Charities, Cause or something else? Millennials: Socially Advanced or Anti-Social?